A review in 10 words (or thereabouts): An epic battle between light and dark. The Darkling...one of the best villains. Ever. He is so mean, and so sinister, and so beautiful, and so awesome, and a BIG part of me really kind of wanted him to win. He was a sympathetic bad guy, overwhelmed with power that no one else understood, and while his motives might have been a little selfish, they weren't completely sociopathic. The same can be said for Alina. She a little bit selfish, a little bit power hungry, and her motives aren't entirely self-sacrificing. There's a depth to both sides, an almost ambiguity, that makes the characters interesting and the plot unique and exciting. Not a whole lot happens in the final installment. The first two books are leading toward an epic battle, which we get, but that doesn't happen until the last thirty pages. There's a whole lot of wandering, a whole lot of moping, and not nearly enough Darkling. Then there's the clean ending. She was doing so well. Some characters met with fateful endings and one of my favorite characters story took an unexpected turn, but then everything ending in a nice little bow. Too clean. Not everything ends with a happy ending. 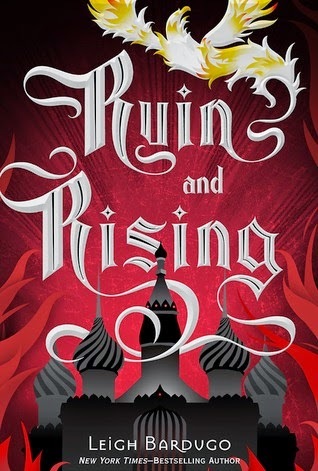 Leigh Bardugo, please write something else quickly. Anything.